Andy Murphy - Foster and Son from Mikolaj Pawelczak on Vimeo. This is a big project I can finally share with you. I have been working on it for the past few months and am very proud of how it turns out. Let me tell you the story of Andrew Murphy and this project before you go on and click the “play” button (btw remember to click 1080HD quality for best quality). What I have always loved and appreciated in other blogs is their creative and quality content. At the same time I know how difficult it can be to constantly push yourself to deliver interesting articles. Not to mention the time and effort it takes, especially if you have a day job too. This has always been my goal to give you, the readers, content that is both interesting and unique. I hope I can achieve that more often than not, even if not too regularly. 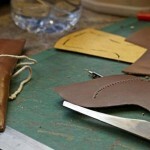 I have known Andrew Murphy, the Business Development Manager at Foster & Son shoemakers, for quite a while now. 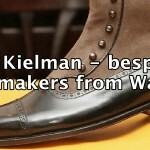 He’s been one of the first who was interested in spending some of his time with me and sharing insights into one of the oldest bespoke shoemakers in UK. It was few years ago at the very beginnings of the blog. Since then we became friends, I hope he doesn’t mind me saying that. Andy is one of those genuine and kind guys in the industry that do not look for benefits first. He, as myself, is always keen to know new interesting people from so-called #menswear circle. He gives and doesn’t expect anything in return. Sure, he has got his job and business to run but it is not something that he would take over a Person. 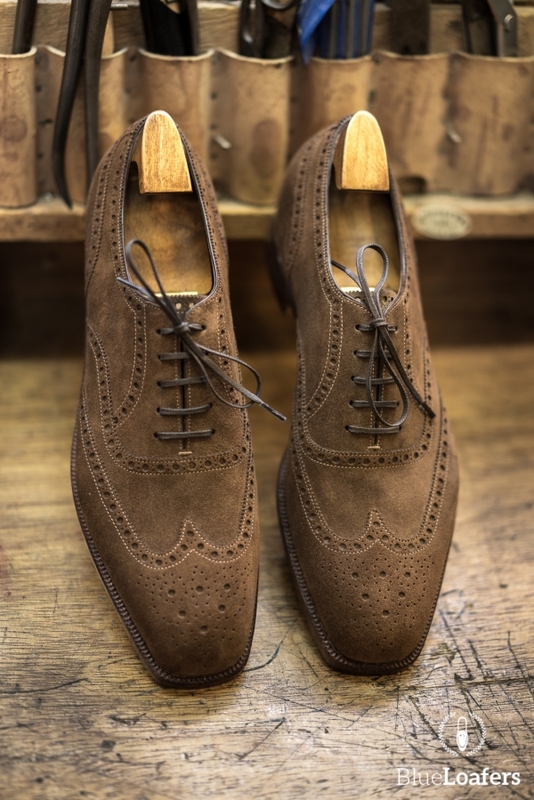 On top of all the above he has spent the last 35 years working on and around Jermyn Street in London working for bespoke shoemaking brands. This post and story is about him as a person. His experience and wonderful stories. It is not about shoes, business, marketing or PR. I would like to invite you to spend the next 8:30min watching a passionate man talking about the joys of his outstanding career. Enjoy! 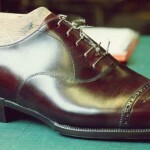 You might not remember but I did a series of posts on bespoke shoemaking that featured Foster and Son too, you can find them here. This is not a sponsored post. I had the idea of making an interview/documentary video of Andrew Murphy for a while now. I’ve heard some of the stories included in the film but some were new to me too. It did take a lot of time of filming early in the morning on Saturdays (only day off office), editing, learning, colour grading, looking for music and putting everything together. Not to mention the equipment etc. However I am proud of this project. Its main goal was to present a story about a man. I didn’t want to care about what it took to make this film. I just wanted to do it. Hope you enjoy it as much as I did making it. Please leave your comments or advice on how to make another video better, it’s very much appreciated. The more I look at the video the more mistakes I see but hopefully you will find very few ;). Big thanks to Andy Murphy for his time and Foster and Son team. Sorry about the disruption during few of those weekends! 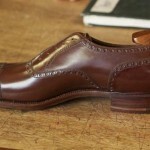 Foster and Son bespoke shoes #3 – pattern making, clicking and brogueing.